If you have decided to take GRE (and not GMAT targeting any MBA program) , you will find the information on this page useful. Else you may go to my GMAT vs GRE blog post. By now you must have noticed that this website is GMAT Gladiator and not GRE Gladiator, but the reason is that GRE Gladiator is not giving the same zing as GMAT Gladiator and to be honest GRE is not as brutal as GMAT. To start with, I am a genuine online GRE tutor having an outstanding track record as an online GRE tutor. This can be verified from the testimonials on the right of your screen, none of which is fabricated. Every testimonial present on this website can be cross checked on my LinkedIn profile or on the websites of my previous employers. Let’s discuss online GRE tutoring now. This is the place where I’m supposed to tell you that I’m a magical online GRE tutor who can raise your score by 40+ points in, like, 4-6 weeks. But I have taken GRE myself and I know for sure it is disciplined and focused approach from both you as well as me (if you hire me as your online GRE tutor) that gets you there. Well, GRE is also adaptive but in a slightly different way. GRE doesn’t test you on grammar but it kicks you real hard in vocabulary. As far as Maths is concerned, it does not test you in deep waters of Algebra or Geometry, which means that the GRE is far less frightening than the GMAT, and it will not be as nasty as GMAT. But it is important to learn to manage your time wisely, and it is really crucial that you avoid careless errors, just like on the GMAT. My tutoring sessions particularly focus on the students’ attention on time management and trap avoidance, in addition to the algebra, statistics, geometry, and data analysis fundamentals that form the core of the GRE Quant/Maths section. We always focus on ways to improve your non-vocab based performance, as well as strategies to master GRE vocabulary questions. The good thing is even if you don’t understand every single word, it is still possible to give yourself a decent chance on tough vocabulary questions if you understand the question format and apply the logic with a cool mind. I always make sure that you take a consistent and efficient approach to GRE questions, and work on the structured and organized homework lists that include the study materials that are ideal for your needs at each point in the study process. I also make sure that all the areas of improvement are properly identified and we work upon those diligently in order to optimize your study time and maximize your GRE score. But in any good standardized test-prep course, the hard work is yours. Your tutor is just here to facilitate the process, help you aggressively tackle your weaknesses, set a study agenda, make your time more efficient, and make sure that you use practice materials that optimize both your GRE score and your study time. My no-nonsense, methodical and customized approach towards your study plan maximizes your potential for a great score. As always, I won’t feed you a line of crap about magical score improvements, and I’m not going to offer you any hollow guarantees. Hiring a GRE tutor is like hiring a personal trainer: if you want your GRE brain to get big and buff, you need to pump some serious (quantitative and verbal) iron outside of our tutoring sessions. A good GRE tutor will fill the gaps which you may have in your conceptual understanding and help you understand GRE specific situations, which will eventually help your score improving dramatically. But there’s no magic to any of this. Only hiring a good GRE tutor will not guarantee a significant increase of may be 30-40 points (or even more), but it will involve hours and hours of carefully focused practice on an almost-daily basis. 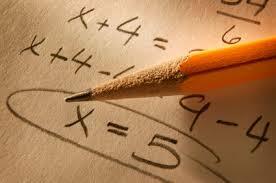 In-person GRE tutoring is available in Gurgaon. For GRE students living outside of Gurgaon and Delhi, I also offer online tutoring via Skype or Webex. I have tried to explain a lot of things here about my tutoring style and in general about GRE, but if you still have any doubts you may check FAQs. If you have any doubts regarding effectiveness of online GRE tutoring / online GMAT tutoring, you can find my online GMAT tutoring / online GMAT tutoring experience here.